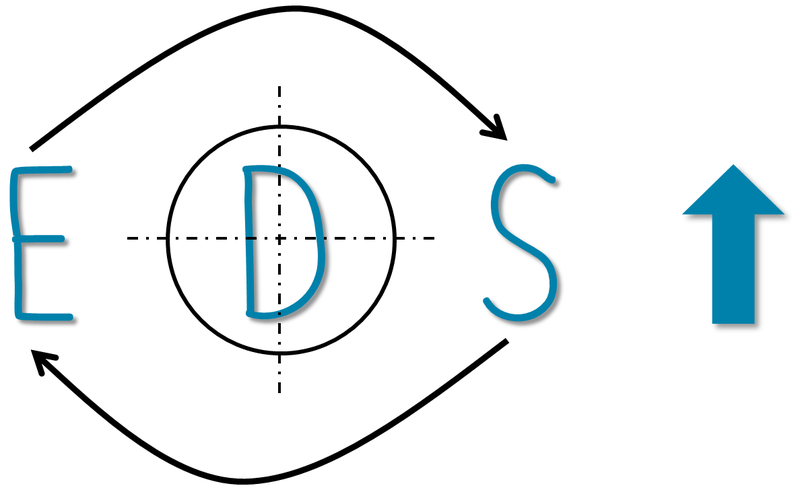 How does EDSI lead towards a cohesive community? The following sections aims to study how engineers can design to bring people together. Series 13/14: Grass Route Social Innovation – Understanding the road towards integrating genuine grassroots social innovation into sustainable development. Mini Series 1/2: The Route Ahead – The series investigates the direction required to structure an organisation around the values of Human Centred Design. When I first started on the journey to South East Asia I believed Sustainable Development was a high level tool. A tool used by experts to design a better future, a future that provided sustainable and equal opportunity. Meeting with the DSIL (Design for Social Innovation and Leadership) team I realised how limited my thinking was. If you want to design and shape the world we live in you need to work with people and communities that can collaborate and co-design with you. 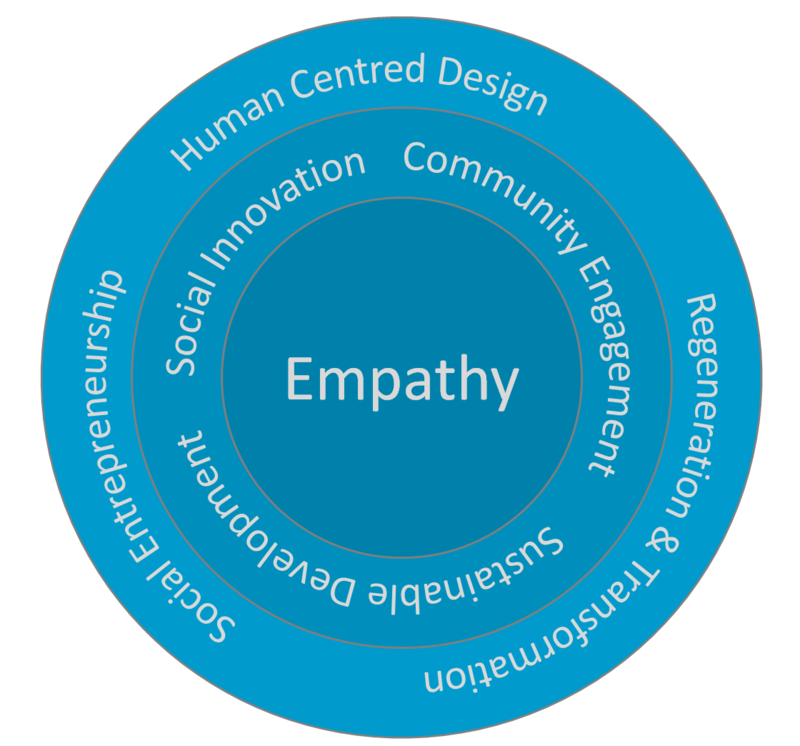 These are the concepts of Human Centred Design (HCD); HCD empowers the design process to be sustainable and inclusive. This in itself transforms the design to deliver a more sustainable, inclusive and practical solution. Meeting the different organisation that apply HCD as a core value was inspiring, working with the community led to a creative energy fuelled by passion and purpose. The application of HCD didn’t stop with the organisation we met but was central to DSIL. The structure of the programme was founded with the HCD principle and enabled us to build up a genuine and inclusive community. Courtney Laurence, founder of DSIL, had created a flexible and fluid organisation that adapted the content and structure of the course to the design community. Courtney didn’t just encourage HCD but applied it directly into the development of DSIL, building up the community with the community and providing us with the opportunity to shape the future of DSIL. Throughout the courses decisions were made together built around continual feedback. The small things came together beautifully and enabled a programme that worked for everyone in the community. This was present throughout the course and from day one we all sat down together and discussed what we wanted the community to look like. At the heart of the community experience was the importance of each member and the insight they could bring to the group. At the heart of this design environment was Katie Grennier, DSIL Field Immersion Co-Lead, Katie brought energy to the group and provided a platform for inclusive design. DSIL built up this platform through liberating structures, creating shared values and purpose within the group; we were encouraged to share and work together through challenges. Liberating structures encouraged individuality and humanity bringing a share sense of respect and understanding into the community. This was led by a democratic design process, in which we valued each other’s skills and collaborated with purpose using a range of colourful post it notes! DSIL was a liberating environment in which I could learn more about design and my identity as a designer. The DSIL team all brought different skill sets and perspective to the group and enable us to explore and research a broad range of topics. More importantly they all had experience in the field and were able to share their own personal journey with us and the challenges they had overcome. One of the highlights of the course was the story telling evening in which we shared are own journey and the projects we were working on. It was a pleasure to hear about the passion within the DSIL community; a passion to design, solve problems and make a genuine difference. During the field course we met with amazing organizations which strive to serve their community and deliver sustainable value. DSIL was one of these organisations and has inspired me in developing EDSI and promoting the values of HCD. 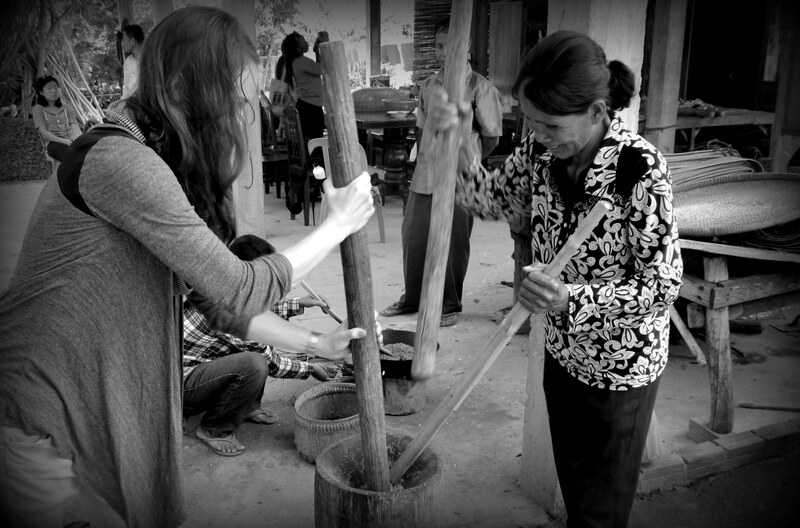 Why not start you own journey into the world of Design and Social Impact and apply for DSIL 2015. Series 12/14: Grass Route Social Innovation – Understanding the road towards integrating genuine grassroots social innovation into sustainable development. Mini Series 4/4: Enterprising Collaboration – The series investigates how collaboration and partnership can empower us to build a resilient and sustainable future. Collaboration can enable us to design projects with a real impact combining skills from different sectors. The collaboration between entrepreneurship and social impact has empowered change makers to design and deliver sustainable projects. The partnership in between research organisations and the wider community can create projects delivering high impact and practical innovation. The difficulty with collaboration is the requirement for each of us to engage on a deeper level and develop our own sense of purpose. How can a sense of purpose enable us to build genuine relationships? During the last immersive visit in Cambodia I had the pleasure of meeting Friend International. Friends’ is an organisation that brought the concepts of Human Centred Design (HCD) and Collaboration back home. Friends International is a social organisation that reaches out to children and youth providing medical care, shelter and opportunity. As James Sutherland, Friends international communication Coordinator, spoke about his vision and journey in setting up Friends I realised that the most important aspect of collaboration was being genuine and treating people with respect. Friends had done an amazing job at bringing the humanity back to the street children and youth; Friends doesn’t just provide an opportunity for the children to get off the street but with the grace of being treated with respect. In doing this Friends’ has provided a holistic solution which transforms and empowers life. Friends’ achieves these great results through its values and purpose. Friends’ only hires local people to work with the community and do not work with volunteer tourism; this enables the youth to build a stable and trustworthy point of contact with Friends. Friends consider each youth individually considering the larger impact of their work on the families of the individual. Friends’ often provide solution for the whole family in order to break the vicious cycle of poverty. Friends operate with several social enterprises in the form of shops and restaurants in order to provide opportunities to the young people. Friends have also built up a CYTI alliance which creates a space for collaborative innovation. Everything Friends has achieved is led by a passion to build genuine relationships and a real sense of care for the community. Friends’ sense of integrity is present throughout the journey of each individual; they do not create a system of dependency but independency in which they encourage the individuals to move on and pursue their own journey. How can we apply the same sense of passion and create a culture of collaboration in engineering? EngLancer is an organisation which aims to “re-engineer the way we engineer” and create a culture of collaboration and shared value in engineering. EngLancer inspires itself from the tech industry and the progression towards a more open source platform. The Tech industry has achieved far greater by creating a space for collaboration and shared knowledge. EngLancer aims to design a platform for engineers to create and share knowledge. Collaboration is an important part of the HCD process. Encouraging collaboration and building genuine relationships is vital in achieving sustainable development. In order to achieve this we must each go on a journey learning more about ourselves in order to connect better with other. Series 11/14: Grass Route Social Innovation – Understanding the road towards integrating genuine grassroots social innovation into sustainable development. Mini Series 3/4: Enterprising Collaboration – The series investigates how collaboration and partnership can empower us to build a resilient and sustainable future. A year ago I entered into the Environmental Agency Flash Flood Challenge. The problem set to students across England was to provide a solution that reduced the impact of Flash Floods. I went to work and started to ideate different technical solution to the problem. When it came to researching and developing these ideas I realised that there are plenty of well-developed solution already commercially available. I therefore started to re-frame the question and to investigate why so many people still used sand bags when far greater technical solution where available. This led to the realisation that people where widely unaware of the risks of floods and the products available to mitigate this risk. The solution therefore lies in empowering the community to work together to overcome the problem. How do you create a culture of inclusive and collaborative innovation? Human Centred Design (HCD) provides the framework to design innovatively with the community; it therefore seems an ideal tool for collaborative research. CEDAC is a Cambodian agricultural research organisation that promotes sustainable farming. 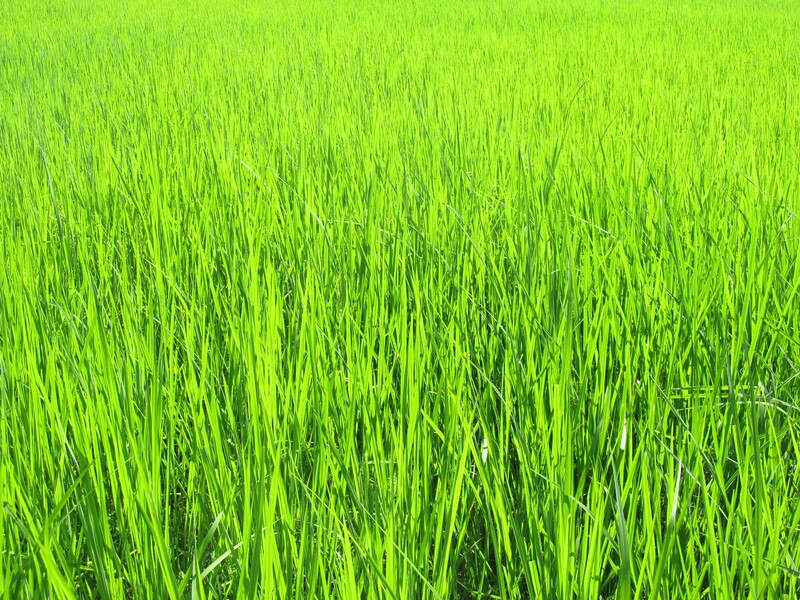 CEDAC uses the principles of Human Centred Design to empower the farming community by encouraging farmers to pioneer SRI (System of Rice Intensification) a simple method of plant, water and soil management which has increased yield by 66%. By encouraging farmers to adopt these new methods, CEDAC has created a culture of innovation within the farming community. In order to cultivate this CEDAD set up the Farmer and Nature Net (FNN). FNN is an independent network of farmers that share knowledge and new processes. CEDAC has therefore managed to harness a crowd sourced solution of practical research in which the farming community have become researchers. Social scientists have pioneered these research principles through PPI (Public and Patient Involvement). PPI creates collaboration in between researchers and the wider community and works by involving the public throughout the project. It encourages the researcher to build up the research project around the public involvement getting to know the skills sets of the people involved. The role of the researchers is to work with the public providing training opportunities and sharing the recognition for the research. PPI also transforms the way we measure the impact of the research; It encourages researchers to consider the direct impact of their research on the community, the public involved and on policy. PPI is a great tool set to create relevant, inclusive and collaborative innovation. 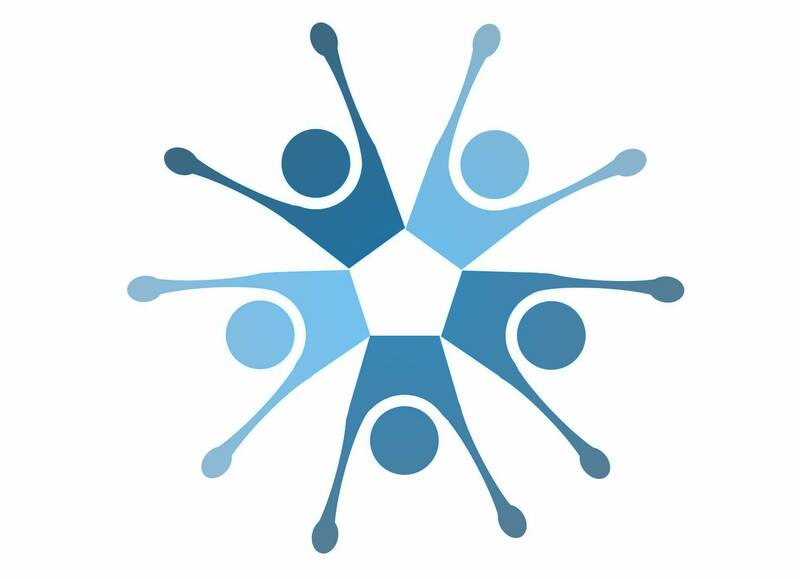 CEDAC has created a platform for inclusive scientific research which uses collaboration and the theories of HCD. CEDAC works with the community and develops solutions which are not just innovative but practical and sustainable. As innovators and designers is it important that we learn from these collaborative approaches to research; applying the theories of HCD and PPI into the creative process. Open and collaborative research can transform the way we solve problems enabling us to create a sustainable and practical solution with the community. Series 10/14: Grass Route Social Innovation – Understanding the road towards integrating genuine grassroots social innovation into sustainable development. Mini Series 2/4: Enterprising Collaboration – The series investigates how collaboration and partnership can empower us to build a resilient and sustainable future. Entrepreneurship and social impact is not words we tend to associate. When I first started to consider the world of social impact I completely ignored the concept of entrepreneurship. I perceived entrepreneurship to be the poll opposite of social action, to be a world focused on profit instead of people. I wanted to develop an idea and expected to get funding just because it was a good project; a nice project. 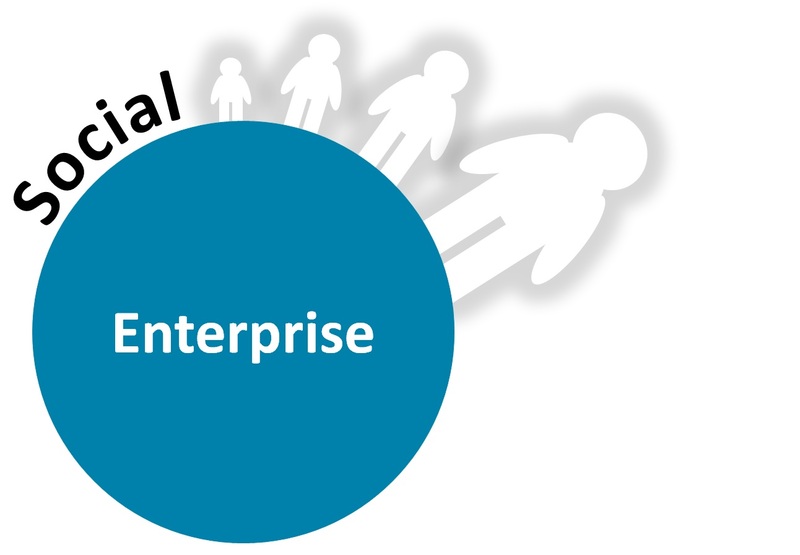 I soon realised that enterprise was important; doing good is great but going good effectively, sustainably and independently is better. Social entrepreneurship is not a confused mix in between entrepreneurship and social action, social entrepreneurship in an incredible tool that has the potential to create sustainable and long long term change. WEDU is an organisation that is combining the world of entrepreneurship and social action and through this empowering future generations of female leaders. WEDU does this in two ways, first they provide funding for eduction to the Rising Stars, young woman with incredible leadership potential, as well as a mentor. The combination of financing and mentoring is powerful and enables the Rising Stars to become incredible change makers. WEDU has also worked with its Rising Stars to create a sustainable funding model, in which the funding is repaid by the Rising Stars to the investors. This creates a sustainable model in which WEDU can have a greater impact and work with more Rising Stars. The Rising Stars want to give back and the model WEDU has created is based on the Best Alternative Charitable Option (BACO) developed by ACUMEN. This suggest that the financial product created by WEDU will generate a far greater impact than charitable donation alone. Another organisation revolutionising the way we understand entrepreneurship and impact is YuGoFund. YuGoFund has developed a crowd funding model that those fare more than just raising funds. YuGoFund works with the organisation, they are fundraising for, to understand and measure their impact; this empowers both the donor and the organisation. YuGoFund enables the organisation to understand and quantify their impact and in doing so work in a more effective manner. The donor is then informed of the impact of their donation and can understand how they are making a difference. YuGoFund is an innovative project that has the potential to change the way we give to organisation. YoGoFund and WEDU have both inspired me in my understanding of social enterprise. Social entrepreneurship is more than a model, it is the collaboration in between enterprise and impact, it bring together the best of both worlds and enables a virtuous circle of sustainable development. If we are to bring about a global change in the way we design and problem solve then it needs to be led by collaborators, people who are not afraid to do thing differently and bridge the gap in between traditional disciplines. As designers we must be willing to go outside are comfort zone and collaborate with others, learn from others. Through this cross-pollination we can design new solution that meet ever increasing and complex demands.